The deserts surrounding the United Arab Emirates are stunningly beautiful. The endless miles of sand and sun make it quite the destination for aerial cinematographers. 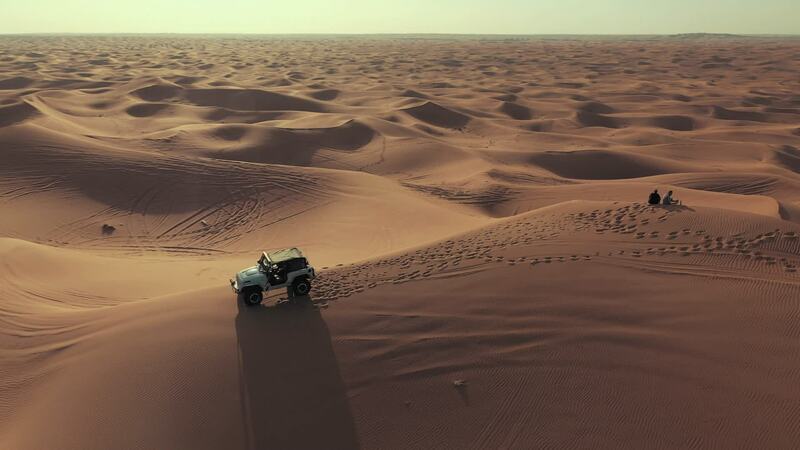 The "golden, silky sand dunes," as cinematographer Moadh_Bukhash puts it, are also perfect for off-roading. Take in the aerial views of what it's like to rip around in the deserts of the UAE in this video.